Tim Richardson and I were intereviewed for this National Geographic article last Fall and if you haven't read his book, please do so! Trick-or-treaters reaching for individually wrapped candy bars this Halloween probably won't stop to wonder about the origins of their sugary treats. But for anyone with a taste for adventure, the holiday could be an ideal time for a sweet history lesson, as a remarkable number of bygone confections can still be bought or made. 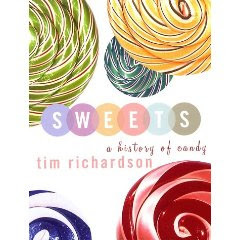 For instance, "most medieval sweets are still around in some form or another," said Tim Richardson, author of Sweets: A History of Candy. Prehistoric treats such as tree sap, honeycomb, and raw sugarcane might not be popular anymore as stand-alone foods. There are, however, several old-school items that may delight, surprise, or perhaps repulse your Halloween guests. Whether date and fig concoctions count as true candy is up for debate. But the ancient Romans ate them as sweets—and left behind detailed recipes. The lumps can be wrapped in fig leaves for added authenticity or for easy distribution. If spiced fig wads sound unappetizing, consider that Romans also ate dormice for dessert, feeding figs to the small rodents to sweeten their meat before baking them in pies. Europeans first encountered sugar sometime during the Crusades, which began around A.D. 1000 and brought Crusaders into contact with Arabic cultures already producing the now-common substance. 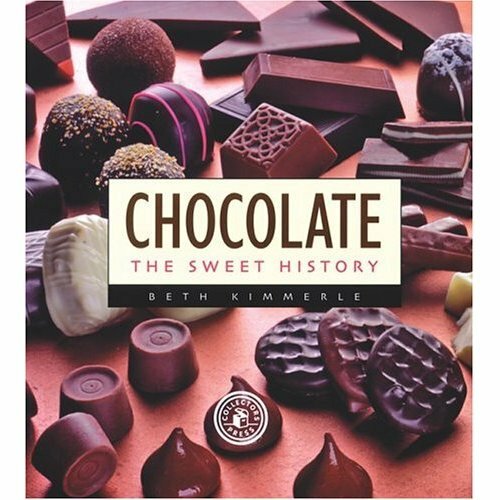 For the Europeans, sugar was "this brand-new spice that was riveting and life-changing for a lot of people," said Beth Kimmerle, author of Candy: The Sweet History and Chocolate: The Sweet History. "It could preserve fruit, [so] people were then able to transport things." Venice was the first city to import candied edibles from the Middle East, North Africa, and Asia. The first confectioners opened up shop in the Italian city by 1150. Medieval cooks were soon candying herbs, whole citrus fruits, and flowers, many of which can be found today made just as they were hundreds of years ago. Candied violets, for example, remain popular in Europe and can be bought from online retailers. "Lots and lots of candied violets are made everywhere—Spain in particular loves them," Sweets author Richardson said. Rock sugar is better known today as a grade school science experiment: Boil sugar in water, put it in a jar, drop in a stick or a thread, and wait for sugar crystals to form. 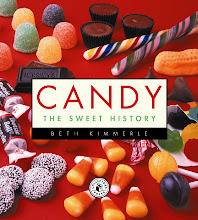 It was also one of the first candies, Sweet History's Kimmerle said. Flavored boiled sweets—the modern Jolly Rancher is an example—developed alongside candied fruits. 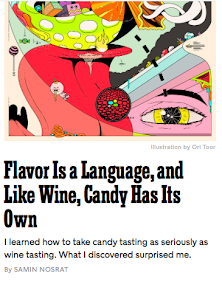 "They were a cheap version of the expensive stuff—an imitation of real candied fruit," Richardson said. Hundreds of varieties of hard candy are still made in Britain, he noted. Almonds were much favored in the medieval Middle East, where the almond-based marzipan, nougat, and torrone originated. 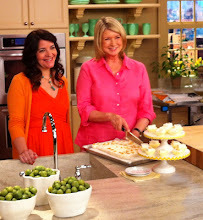 Spain and Italy "both still make really, really first-class torrone," Richardson said. The stuff is easily found at Italian grocery stores in individually wrapped bricks. Candied nuts came into vogue along with candied fruit. Italians in particular "went crazy for" what's now called the Jordan almond (not named for the country, but from the French/Spanish word "jardin," or garden), Kimmerle said. "Often in Europe you can find confectioners doing processes that are very similar to what it would have been like back in the day. The Jordan almond is a perfect example," she said. And India still serves sweet paan, a variety of candied spices and nuts similar to those described in ancient texts, Richardson said. Gummy worms' roots are in medieval Islamic pharmacies, Richardson said. From the seventh and eighth centuries onward, gums—made from sugar, fruit, and gum arabic (the sap of the acacia tree)—were used to soothe sore throats and other ills. The French became masters of gummy-making in the 17th and 18th centuries. Now the favored supplier is Germany, home of gummy bear pioneer Haribo, although today's gummies are far chewier than those of antiquity. Until the late 1800s, chocolate was primarily a drink, not a snack. Europeans were probably the first to make it into a bar. 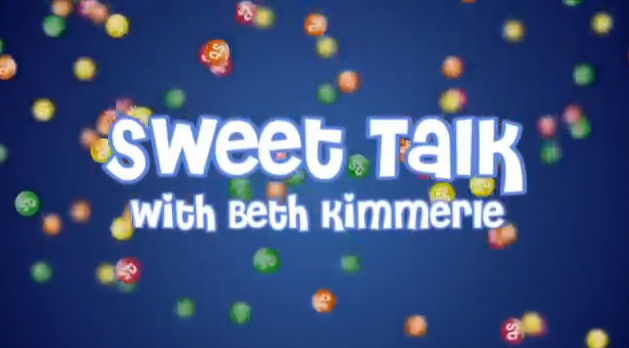 Later, when milk was added, it became a sweet for the masses, Kimmerle said. But before that, chocolate was dark. A particularly early reference to bar chocolate was made in the 1700s by none other than controversial French aristocrat the Marquis de Sade, who was imprisoned in the 1800s on suspicion of insanity. "He's in prison and he writes to his wife asking her to supply him with chocolate dainties. The chocolate she sent previously wasn't very good," said Louis Grivetti, a professor of nutrition science at the University of California, Davis, and co-author of Chocolate: History, Culture, and Heritage. The marquis's spouse had probably sent a dark bar with "a modest amount of sugar to dull the very bitter taste," Grivetti said. Today, high-cacao—aka very dark—chocolate is once again the fashion. 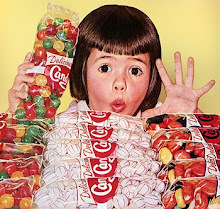 Candy connoisseurship is up generally, Richardson said, with "a lot more emphasis on expensive sweets."